Lysates of HEK293 cells transfected with pCMV5 HA-Rab39B, 20-0.01 µg of protein was loaded. The antibodies were used in 5% milk in TBST at 1 ug/ml. The membranes were incubated with the antibodies overnight in 4°C. 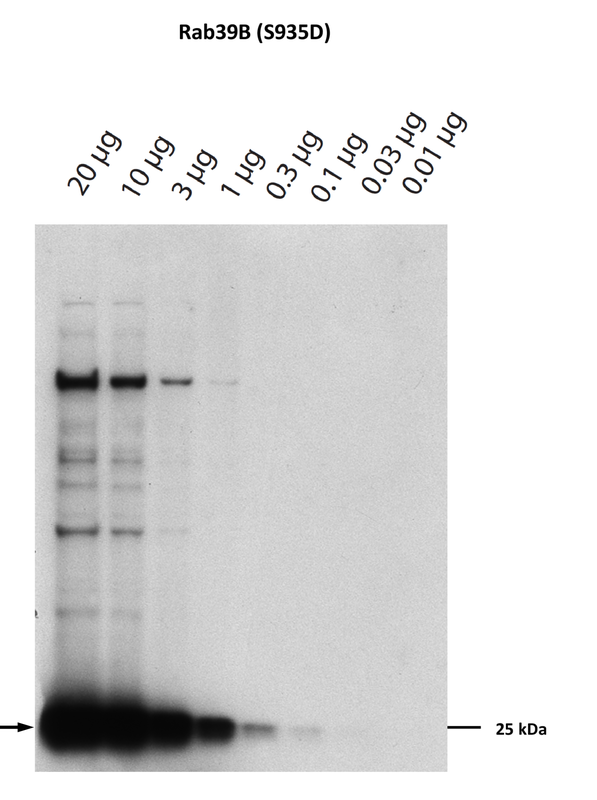 The secondary sheep antibody conjugated with HRP was used in 5% milk in TBST for 1 hour at RT.